Originally published on WarpandWoof.org and again at NurturingFaith.wordpress.com. “I’m not a math person.” For years this had been my response to any question involving numbers, equations, or solutions. But I had wrongly given up responsibility for a crucial characteristic of God’s creation. I began to realize my answer was a wrong approach to math or, for that matter, anything else in life. In the summer of 2003 I was asked to do a Christian school in-service on biblical integration including three hours on elementary math. I asked for and received the table of contents along with sample lessons from each textbook. As I pondered God’s natural revelation of arithmetic The Spirit began to open my eyes to at least twelve major concepts directly dependent upon Scriptural truth. I used to believe that math was the most difficult subject for biblical integration. Indeed, it seems immediately plain that math is the essential core of God’s world. As I understand it now, math could well be described as “God’s language.” For instance, John D. Barrow’s book The Constants of Nature: From Alpha to Omega–the Numbers That Encode the Deepest Secrets of the Universe seems to mirror Scriptural injunctions concerning “the works of God’s hands” that endure “from age to age.” The stability of creation is consistently used as the measuring rod for God’s interaction with people. Why? The Creator’s truthful rule over this world and this life marks his dependability for the next world and afterlife (see examples in Psalms 35, 71, 73, 80, 88, 92, 95, 103, 118, 120, 146, and 148). Numerical order is essential for life and central to “the whole truth” of God’s creation. To prove God’s world is interrelated—each part working within the whole. To express how God brought various systems together in complementary equilibrium. To state that creation’s organization is based on the plans and decrees of God. To explain how something is “unique”—each thing assigned its place, given a role by God. To appreciate math as a system by which God runs His world. After describing God’s numerical ordering of His creation Job cries, “And these are but the outer fringe of his works!” (26:14). 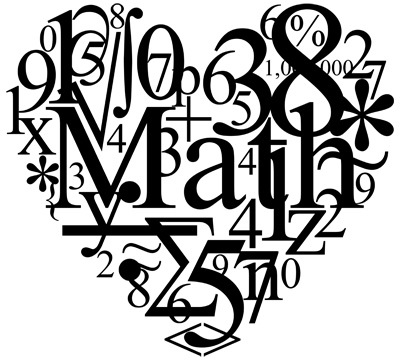 Never again will I say, “I’m not a math person.” Since The Personal Eternal Creator binds His world with numbers, I am bound to discover more about math. Discovering more of God’s world helps us to know more of our God. Dr. Mark Eckel is Dean of Undergraduate Studies and Professor of Old Testament at Crossroads Bible College, Indianapolis, IN. For over twenty five years Mark has served the Christian education community as a high school teacher, college professor, and international speaker. Mark’s original curricula Let God Be God: The Nature and Characteristics of God and Timeless Truth: An Apologetic for the Reliability, Authenticity, and Authority of Scripture have served the Christian school movement around the world. In 2006 Mark consulted with Chuck Colson to produce a curriculum for high school students called Rewired. Since then he has produced both online and print curricula for various ministries. Mark’s book The Whole Truth: Classroom Strategies for Biblical Integration has helped thousands of Christian school teachers practice biblical integration in their classrooms.